80 Tonnes of Sand To Move! After several weeks of preparation we are in the final stages of completing the outdoor resources for the children. Those of you who picked the children up tonight will have seen that we have had 40 tonnes of sand delivered for the giant sand pit. However it needs to be moved around and spread out. Would you be available tomorrow morning? Do you want to get a great work out to prepare for the summer season? Have you always desired toned arms? If the answer to these is yes, this task is perfect for you. We would be very grateful of some volunteers to help Mr Drakes & Mr Martin who will be out spreading the sand first thing tomorrow. If you can spare an hour or more, please come dressed in comfortable clothes and we will arm you with a shovel and a wheelbarrow. 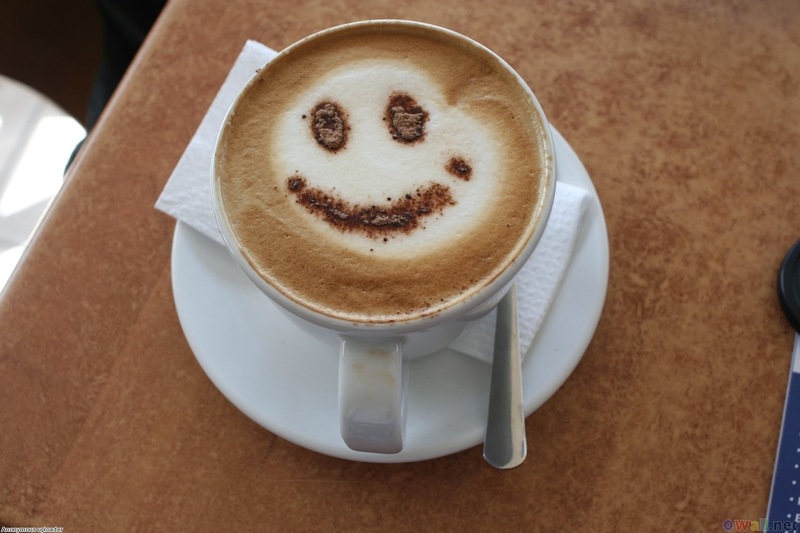 We would be delighted to invite parents to a Friends of Broadford coffee morning next Friday, this is so we can introduce ourselves to parents who do not know us. It would be an opportunity for parents (old and new) to ask questions if they have. 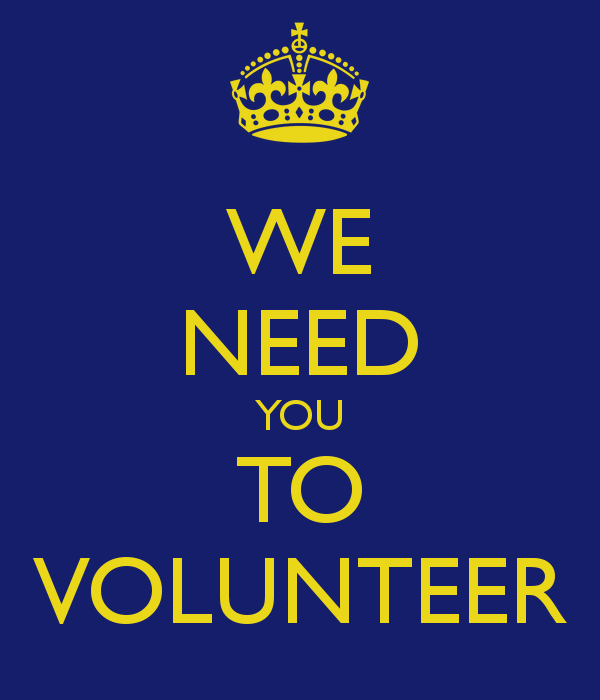 More importantly it will allow us to ask if there are any volunteers out there who may be able to help the FoB or contribute when we hold fundraising events. Were you aware that the name Iguanodon means ‘Iguana tooth’. The Iguanodon lived in the early Cretaceous Period, around 125 million years ago. It was first discovered in 1822 by English geologist Gideon Mantell. 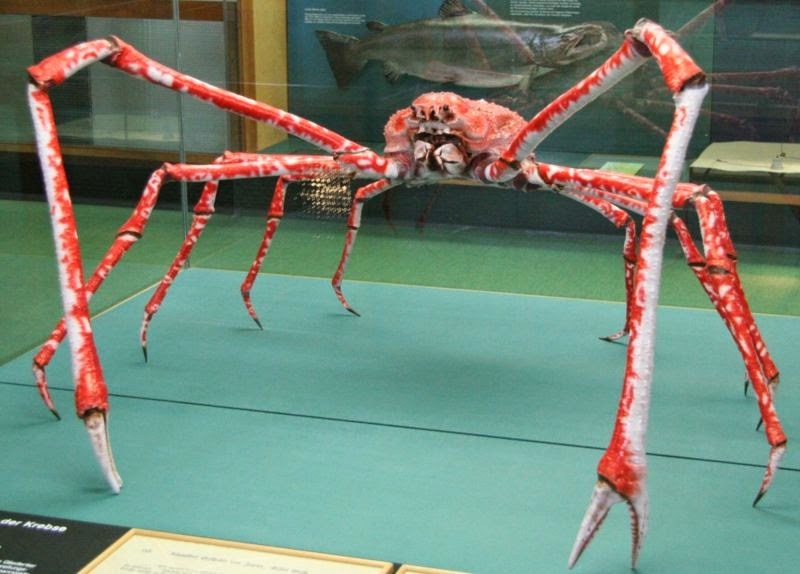 Did you know that the Japanese Spider Crab has the largest leg span of any arthropod in the world reaching up to 3.8 meters from claw to claw? Have you ever heard of Consecotaleophobia? It is the fear of chopsticks. It would appear that Raheem has managed to forget to claim a single reading reward since the start of the year, so we are ensuring that he is paid in full today! Raheem Miah & Abbie Sullivan have managed to earn their Bronze certificates. Raheem Miah, Sam Doidge & Emma Groom have earned their bookmarks. Raheem Miah, Uthman Falade & Sophie Lewis, Bradley Joy & Harley Boland have reached the heights of their Silver award (a certificate and £5 voucher). Congratulations to Georgia Brooks has managed to complete 75 books and can now make a choice of her very own. 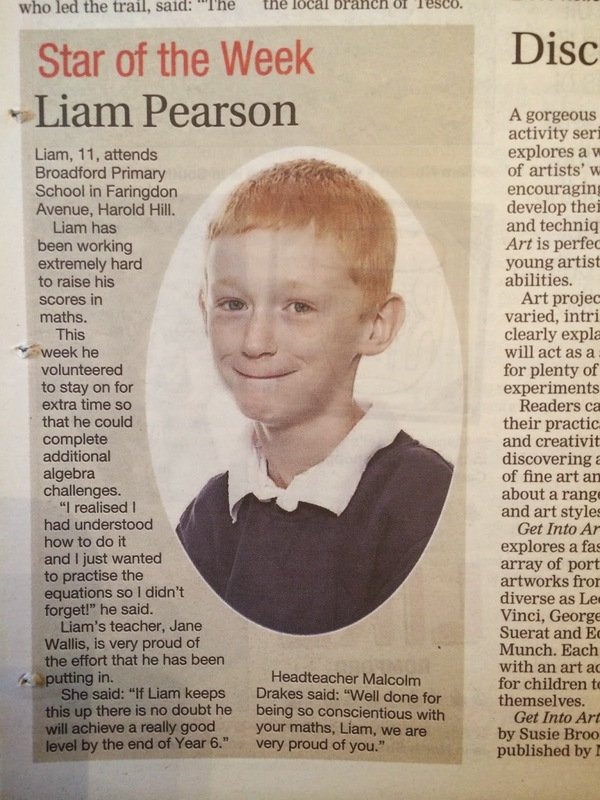 Liam Pearson has been chosen as the star of the week by the Romford Recorder. As a result of asking to stay for extra tuition in Maths, he has been picked to appear in the paper. Mrs Wallis has described how his improved level of effort will result in good progress being achieved. Well done Liam for showing a thirst for learning! A reminder that all children are expected to attend for every day of the school term. These wonderful children have been particularly helpful at lunchtimes this week. Congratulations to Red (Faringdon) who have managed to win the House Point trophy this week! Toby Smith has now put the last merit sticker on his Bronze card. Lewis Makolli has now completed his Silver Tracker. Russell Lockhart & Charanjit Ubhi have got their hands on the Golden Bookmark. Harry Vincent has produced a great piece of writing this week and has been featured on the Star Writers display. 1. 100 pennies equals one dollar. 2. 100 years are a century. 3. 100 centimeters are one meter. 4. 100% means all your answers are correct. 5. A person who lives to be 100 is called a centenarian. We look forward to seeing your ideas. 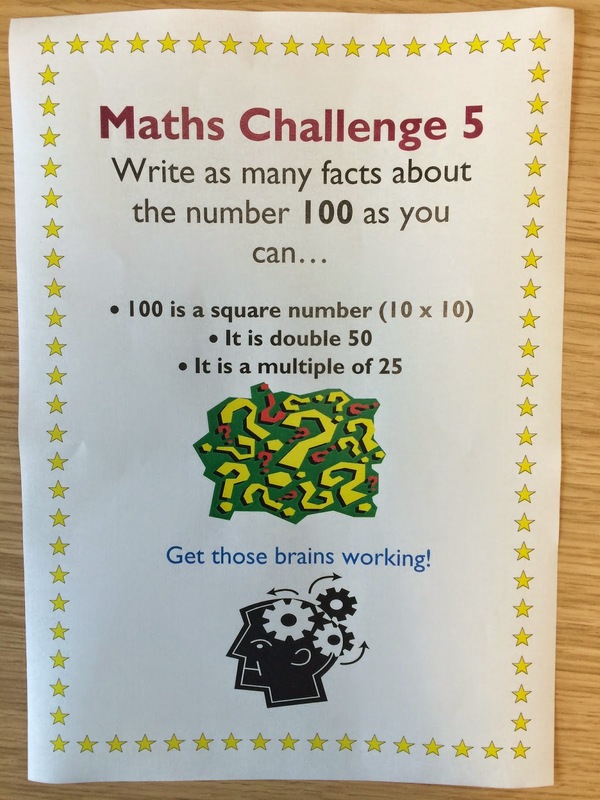 This week's challenge is open until Wednesday afternoon. This week - as a special treat - Mr Drakes was allowed to take the Happy Assembly. Held on a Thursday afternoon, it is a chance for the teachers in EYFS & KS1 to let the children know how they have made their teacher happy during the week. Despite only being in school for three days there were lots of candidates for the Happy Book. Well done everyone for your efforts with phonics, reading, maths and being helpful to your classmates. This week there have been some fluffy, yellow arrivals in the EYFS setting. When the Year 6 pupils heard about the chicks they were very keen to go and have a cuddle. All of the school have been captivated by the dramatic hatching of the chicks - they seem to be growing before your very eyes. Would you be brave enough to stroke a Mexican Red Kneed Tarantula? Have you got nerves that can handle cuddling a hissing cockroach? Could you let a Pink Winged Stick Insect crawl through your hair? Without a doubt we have some very curious, brave and calm pupils who rose to all those challenges. Fitzroy, Connor, Freddie, Nathan and Ayomide were all very intrigued to learn that Lucy (the spider) has the ability to rub her back legs together and fire hairs into the air. These act as an irritant to put off predators. Likewise the Madagascan Hissing Cockroaches (which come from Madagascar and hiss when attacked) are able to make a noise that scares off creatures who might be looking to eat them for supper. It is a bit belated, but welcome back after what we hope was a restful and enjoyable Easter holiday. The first few days have been quite busy for the children. 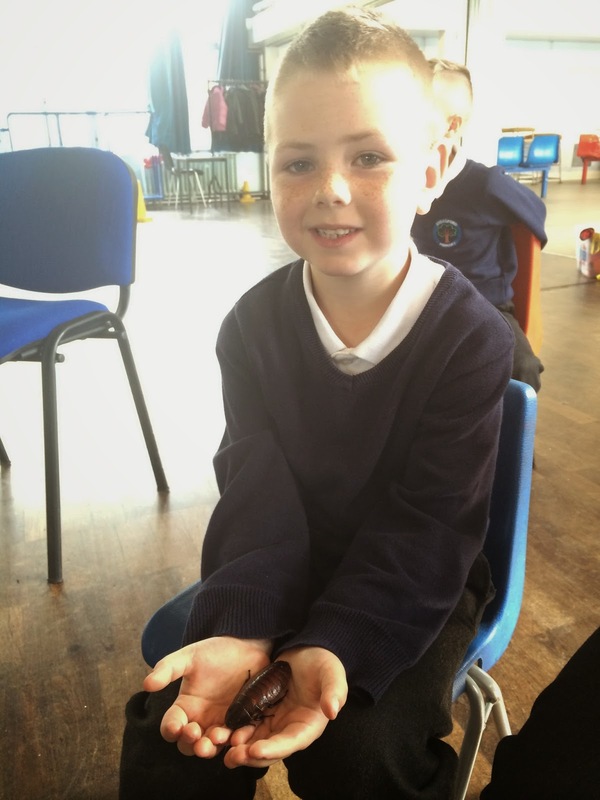 On Tuesday there was a visit from the Bug Man (Martin Radley) which saw our youngest children handling a Mexican Red Kneed Tarantula and many other amazing creatures. On Wednesday morning they had a theatre production of Tom’s Midnight Garden, while on Thursday we had More Able sessions at Drapers and a Year 5&6 PE lesson there. Like every other term we are going to try and cram as much in as possible for the children, so it is imperative that they don’t miss a day! Throughout the week we will be having visits from the School Nurse to carry out hearing and vision tests. The Book Fayre will be open every night after school for your purchases – it will be under the Year 1 canopy. On Thursday we have the Rev Rich Shorter in for assembly with the children. 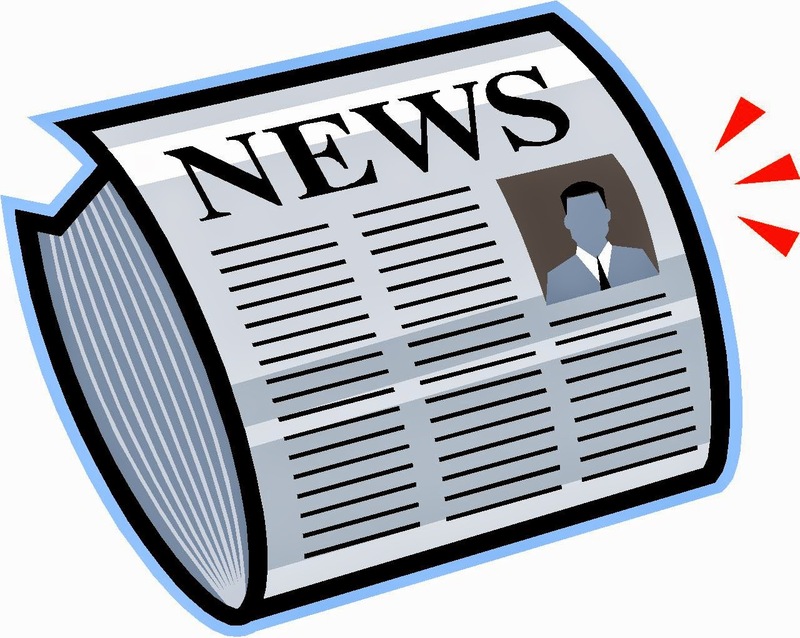 In the afternoon there is a joint School Council meeting at Hilldene and our Year 5&6 pupils are off to Drapers for more PE. We finish the week with a dance workshop which has been organized by Miss Morris. Don’t forget to check the online calendar to be updated on the latest events. While the pupils were away for Easter a lot more progress was made with the activity trail. Now the observation deck has gone up, complete with clamber nets and slides. This week the hurdles and clamber frame will be installed. Next to the main playground the super sized sandpit is almost complete - just two more loads of crushed concrete are required! Hopefully the whole project will be finished by the end of next week. 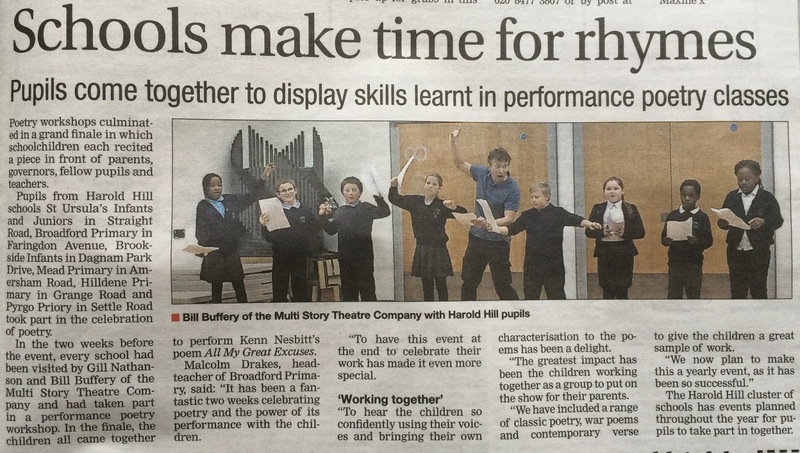 Last term we hosted an event for all of the Harold Hill schools. Gill and Bill - from the MultiStory Theatre company - came to provide workshops for all the children. They took the poems they had practised and performed them to each other, as well as parents, in a grand finale. It was so great to see the pupils from all of our local schools working so well together. Without a doubt the event was a great success and one that is likely to be repeated. Watch out for the upcoming videos that will be posted shortly. On Thursday afternoon last week, Aspen class had their visit to the Hilldene Library. Mrs Charlesworth set a good pace on the way down, which meant we had time to stop in and visit D&G Tailors. Papa was delighted to see 27 eager children who wanted to know more about how to make clothes. Once Deborah had been measured up for a suit, the children headed off to get their books out. Jo - the librarian - read them several stories. All of the children loved her pop up books. Having created their own book mark, they used the self serve till and then headed home armed with stacks of new stories. Watch out for the video that will be coming soon! 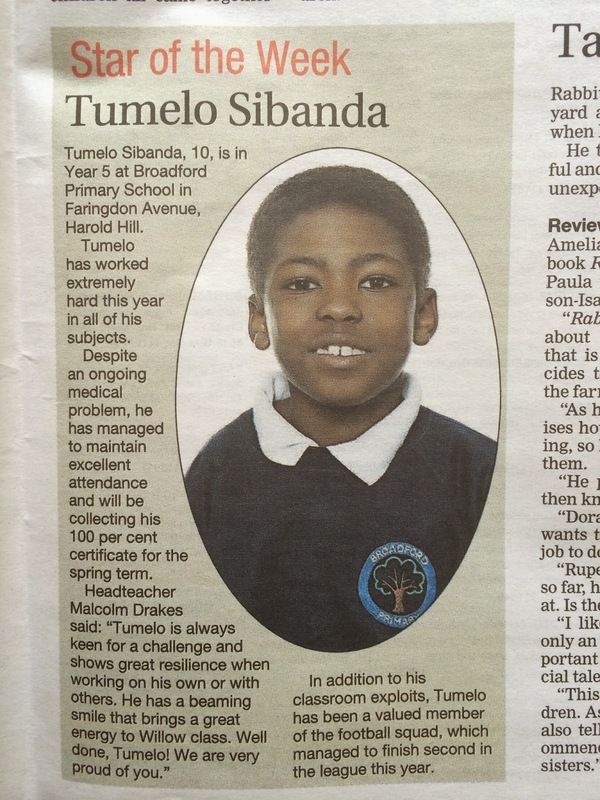 Congratulations to Tumelo who has been chosen as the Star of the Week for the Romford Recorder. His beaming smile and endless enthusiasm are a real asset to Willow class! 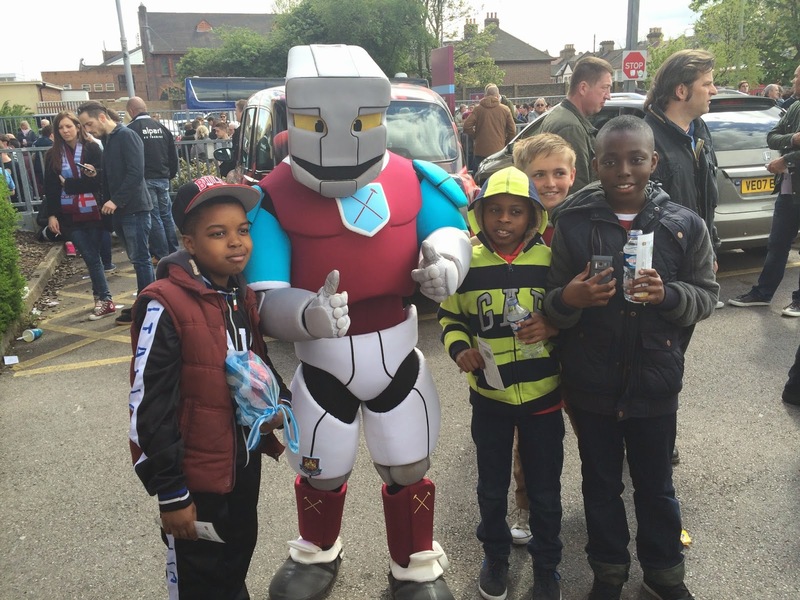 On April 19th the most recent winners of the Reading League went to watch the West Ham vs Crystal Palace football match. With fears of relegation now fading, the game was alot less pressurised than the one we saw before Christmas! Unfortunately that didn't come across in the way that West Ham played - losing 0-1 to a second half penalty. Miss Sparkes has organised the third Reading League competition to start this term and it will run for 8 weeks. Make sure you have seen her to register your team. The prize this time... a stadium tour! For those children not motivated by football rewards, Miss Sparkes will also be offering her manicure prize as well! We hope that you have had an enjoyable Easter Holiday. 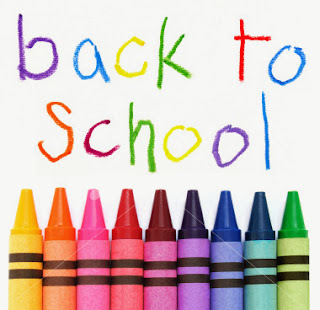 School is open as normal tomorrow. 8am for Breakfast Club, or 8.30am for everyone else. PE lessons also start back as normal. Miss Cook & Mr Clark are raring to go, so make sure those PE kits are all packed and ready. We look forward to seeing you bright and early for the start of the Summer term. For your information, the half term is quite short this time. The last day of the half term will be on Wednesday 21st May. When the Maths Challenge Workshop came to visit even the Reception classes were able to take part. Our pupils have an excellent knowledge of shape and their collaboration skills are fantastic... so the problem solving was perfect for them. Weekly Winners: MDA, Trackers & I Got Stuck!